There's no doubt a diagnosis of Diabetes comes as a shock, or in my case horror followed by feelings of being lost, upset, confused and defeated. My initial thoughts were "now what" I clearly remember looking at food and being afraid. Once the tears stopped flowing a few days later, and being the kind of person I am, research was my next mission. I had a burning urge to find out as much as I possibly could about causes, treatments and yes the dreaded complications. Knowing about those complications although scary, would keep me on the straight and narrow. It's all such hard work and relentless but although I grabbed this monster by the tail and dragged it around all day keeping a very close eye on it, testing regularly, counting carbs, reading labels, packing to leave the house and analysing every single thing I put in my mouth, the part that finally exhausted me was bedtime. Getting my blood glucose no lower than 8 and no higher than 9ish was tricky and as I put my head on the pillow and turned out the light there was real fear that my monster wouldn't be watched for hours, in short I was afraid I would have a hypo while sleeping and not wake up in the morning. Its easy to understand why so many people with type 1 diabetes suffer from depression or have an eating disorder. Once it settles in your head that food is an issue = an insulin injection. There's a decision to be made and it takes a strong will at first to do the right thing then eat and inject. Now ! After years of living life with type 1 it becomes a habit or a routine that most days I do without a second thought. 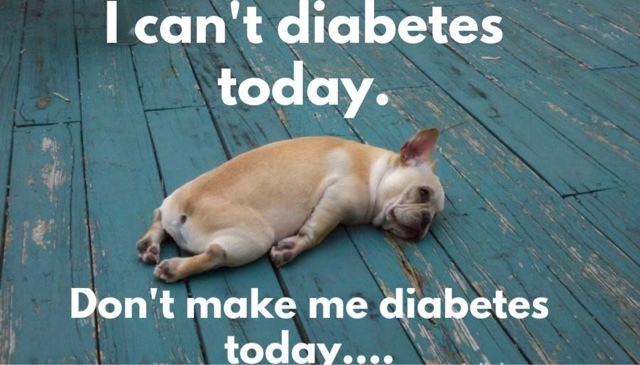 But there are also days that I feel all Diabetes'ed out. Days when I deeply resent having to live like this, days when I hate it and feel so tired that motivation to do anything or go anywhere is a struggle. Days when I just can't face another conversation that starts with " you'v got diabetes? You must not have been exercising and eating healthy". On these day I stay close to home, and take it real easy until I'm ready to take on the world again, always knowing that my online support is there for me, no matter what time it is there is always someone there ready to chat. It takes a lot of energy always having to educate people that Type 1 Diabetes happened because of an autoimmune response in my body, my own antibodies killed my insulin production. There was nothing I could have done to prevent it happening and there's nothing I can do to cure it. But if I don't correct those people they just saunter on through life thinking what they always thought. 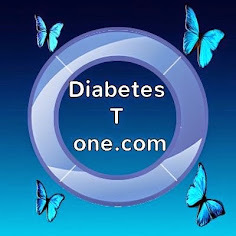 "Type 1 Diabetes is NOT brought on by an unhealthy lifestyle. A lack of physical activity or Sugar"